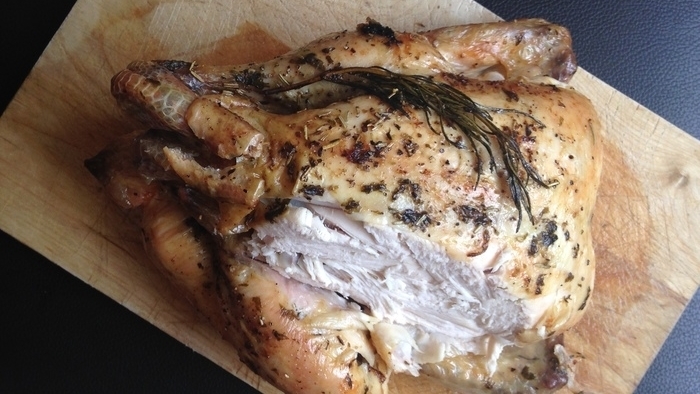 What is there not to love about roast chicken? It’s perfect hot for lunch or dinner. It’s perfect cold leftover between two slices and whichever side you sit on the great potato divide (mashed or roast) it goes perfectly with either. 6. Spoon most of the fat from the tin. Put the tin over a high heat and once the juices start bubbling, pour in the white wine.